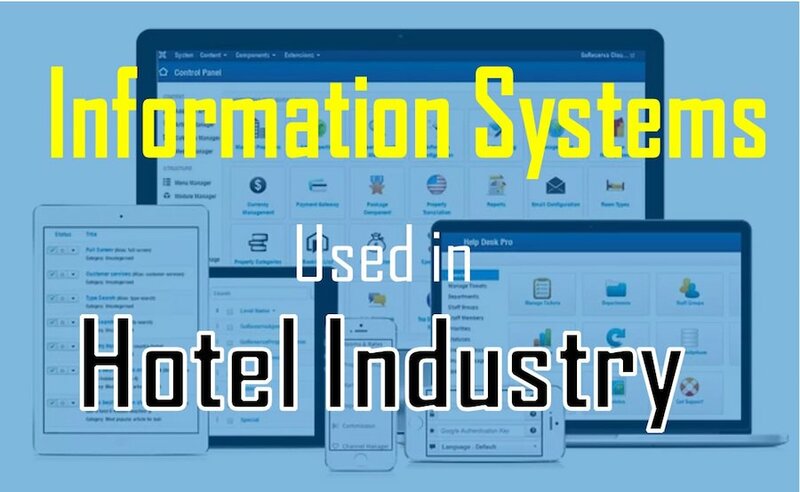 Information systems in the Hotel industry refer to computer systems in a hotel that supply information about that hotel’s business operations. In the current technology era, this is as crucial as it can get. So, what exactly is the meaning of Information systems and why is it crucial for sustained competitive advantage in the hotel industry? Information systems typically include all computerised systems which are used to gather data continuously both for use internally and externally. Information technology has influenced every sphere of human life in the last few decades in a tremendous way. The tourism and hospitality sector has been a key beneficiary as it has allowed the contemporary traveller to enjoy a plethora of options. Information systems play a crucial role in the hotel industry as they facilitate planning, management, overall operations of the hotels as well as policymaking. The information systems used in hotels are much more advanced owing to the latest technological innovations. One of our earlier posts covered a lot of Hotel Management Software in detail. Information systems are an integral part of the complete IT infrastructure used in the hotel industry. IT in the hotel industry is now probably the most important tool for sustained competitive advantages. Information systems play a crucial role in the same. Listed below are few of the same. Have a look, please. The World is going gaga over The Cloud and Data analytics. Processing data effectively helps the hotel to be more flexible to demand, in understanding customer and keeping costs down. Transaction Processing System allows business transactions involving the collection, retrieval, and modification of transactional data. This system processes data generated about and by transactions in the hotel. These systems are vital as they ensure that the data collected is accurate and timely, which increases labour efficiency. It is mostly used by managers in the hotel industry at operational capacity. Read more about Transaction Process System at Techopedia. PoS is the most common form of information systems used in the Hotel industry. This computerised system keeps track of merchandise sales such as those that would occur in a hotel restaurant, bar, coffee or gift shop. There are various versions that are also used by the Front office of the Hotel and the Housekeeping department. These systems incorporate registers, computers and any peripheral equipment that make be established on a computer network. This system is important because it keeps track of payroll, labour, and sales, as well as generates records which may be useful for accounting purposes. Micros and version of Micros are commonly used by the Hotel restaurants, Fast food restaurants and stand-alone restaurants. Even security departments of the Hotel industry have their own PoS system. These systems provide information required by the hotel for proper management of staff and the facilities. This system can be used to analyse and facilitate operational and strategic activities and is used functionally in areas such as security, housekeeping, maintenance, and financial controls and accounting. This is a comprehensive software application which is used to cover basic goals such as coordination of the operational duties of the staff at the front office, sales, and planning. Property management systems facilitate the automation of important functions such as guest booking, guest information, online reservations, as well as sales and marketing. The whole purpose of PMS is to manage various operations of the Hotel and to streamline data. There are a lot of customised PMS providers across the globe as covered in our post on Hotel Management software. Decision support systems aid the decision-making process. Each hotel creates a decisions support system based on the operational model of the hotel establishment. This system is particularly important in ensuring that the hotel operations are functional and that decisions are made in a timely manner. There is a clear overlap in these information systems used in the hotel industry. A lot of Hotel software providers have bundled packages for using multiple products under one administrative panel. Using these information systems in the Hotel is good for the implementation of Hotel Marketing strategies for gaining a competitive advantage. While a lot of hotels already use these systems, there is no harm in others to test out these information systems. Moreover, most of the software providers provide a free trial. Go for it if you still don’t have these systems installed at your Hotel.